We could soon be looking at the watershed moment for over-the-top video: According to a Multichannel News posting, that the FCC is considering making "being a multichannel video program distributor" (MVPD) an option for online video providers (the conclusion is implied from the actual FCC .pdf release). To date, online video providers have not been able to be considered MVPDs because they do not own the facilities that transmit channels of programming to end users. In one fell swoop, this could clear up three big issues for potential OTT providers who are direct MVPD competitors, offering a package of linear "cable TV" networks. Much like cable and DBS, any MVPD would have the right to negotiate with broadcast TV stations over retransmission consent and the stations would have the right to demand must-carry. For example, Aereo, which the Supreme Court declared was not legal because it distributed programming like an MVPD, but was denied the right to be an MVPD when it used the Supreme Court's argument at the US Copyright Office, would no longer be in a legal no-man's-land. Clarity on this point is overdue, as David Oxenford in BroadcastLawBlog notes, the Sky Angel case has been before the FCC for a long time, long enough, it turns out, for Sky Angel to go bust in its over-the-top incarnation. Restricting the distribution of cable programming on some "other" technology was a backdoor way to get some exclusivity, now the other MVPDs will have to negotiate exclusivity versus other MVPD competitors through the front door and many programmers have, not unreasonably, been historically reluctant to do exclusive deals that reduce MVPD competition. Right now, only companies that explicitly clear "Internet rights" are allowed to put the programs on their TV channels on the Internet. Once an online video distributor is an MVPD, the linear stream of programs, as presented on a cable program service like Lifetime, can go to any MVPD. It might be politically poisonous for a cable MSO facing a direct competitor delivering "cable TV service" over-the-top to announce bandwidth caps that would make it uneconomic for any of their customers to use such a service. That said, the cable industry, like many other industries, has historically looked to protect its business against competition. Certainly that's what Netflix thought Comcast was doing when the streaming performance of Netflix customers using Comcast as their ISP declined in late 2013. Bandwidth caps would be great protection for MSOs against online video competition. This combines several issues: Is the consumer offering attractive enough? Are the programmers willing to negotiate with these new MVPDs? 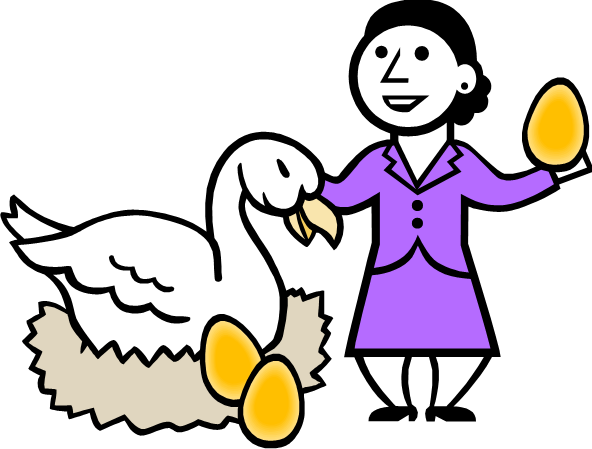 Are there terms that the programmers will find attractive enough that create a business opportunity for the new MVPDs? 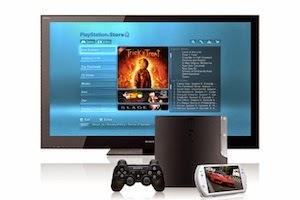 On the first one, Sony's rumored $80 per month offering is considerably more expensive than many had hoped. Cable TV programmers have been supportive of new, clearly legal entrants to the program distribution business. More competition among distributors is always good news for the program suppliers who now have a new set of customers. Viacom certainly thinks so. Going over-the-top and preserving the existing pay-TV packaging (and business model) appears to be more attractive than going over-the-top on one's own like World Wrestling Entertainment's $9.99 monthly offering. Rather than going-head-on against the pay-TV incumbents, it would seem that a more prudent course for new MVPDs would be to find a segment of the marketplace that is un- or poorly-served by the incumbents, but which also has high broadband Internet penetration. That may be a difficult combination to find. Update (29 October 2014): FCC Chairman Tom Wheeler makes his views explicit in an FCC blog post "Tech Transitions, Video, and the Future". In short, he supports OTT video providers getting the rights that MVPDs have, believing that it will foster competition. 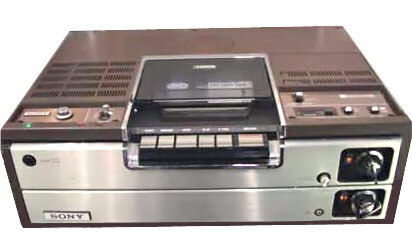 Justice Breyer, writing the majority opinion, believes that Congress intended to capture things like Aereo in the Copyright Act of 1976, which directly addressed the legal issues raised by cable television. Justice Scalia, in the dissent, believes that the matter should be decided by Congress now, not by the courts by interpreting what Congress in 1976 might have thought about what Aereo represents today. Unlike the Comcast-Time Warner Cable-Charter proposed deal, AT&T's purchase of DirecTV "would eliminate a choice for pay-TV customers in some markets." In those areas where AT&T offers U-Verse service, a consumer likely has a choice of four competitive providers: the incumbent cable operator, Dish Network, DirecTV, and AT&T. If this merger goes through, the four choices go down to three and the new company includes one of the giant providers (as opposed to a combination of two of the smaller ones). While antitrust is far from my area of expertise, it appears that this is exactly the same outcome that doomed AT&T's attempted acquisition of T-Mobile. 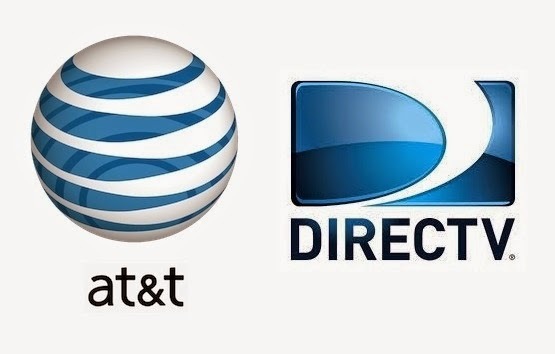 While having AT&T and DirecTV under the same ownership would appear to facilitate bundling services for consumers (e.g., in non-U-Verse areas the combined company could offer phone plus DSL plus DBS plus cellphone), unless the DirecTV brand goes away, it would still appear to be the sort of shot-gun marriage that all current and prior telco-DBS "synthetic bundles" are and have been. It's not an elegant solution and "people are abandoning DSL in droves, and buying cable broadband". When I've read of DirecTV's strong cash flow, but otherwise difficult strategic position (a TV-only provider in an increasingly bundled bustiness) and how AT&T could really use the DirecTV cash to fund its dividend, the story sounded suspiciously like Viacom's 1994 acquisition of Blockbuster to fund the acquisition it really wanted, Paramount Pictures. How did that one work out? Not that well. Would AT&T apply the DirecTV brand to U-Verse video offering? Maybe that's a better idea. As AT&T's press release on the deal states: DirecTV is "the premier pay TV brand with the best content". The U-Verse brand is probably meaningless. Why anyone has a brand with a hyphen in it is beyond me. It is clunky and not web-friendly (the URL for the service is uverseonline.att.net, although u-verse.com does redirect to it -- why have consumers wonder if they include the hyphen or not. DirecTV's URL is simply directv.com). This deal should seem like a homecoming for Dan York, DirecTV's chief content acquisition executive. It was just 2 years ago that he left that same role at AT&T. Programming savings will not be as easy to come by as they are in a typical cable acquisition. DirecTV's distribution rights may be limited to its single DBS system and, if that's the case, would not have the right to simply add AT&T's systems to its affiliation agreements (and take advantage of DirecTV's greater purchasing power). Comcast, by comparison, would very likely have the right to do exactly that with the Time Warner Cable systems. It is always simpler if one does not have to negotiate. DirecTV already has relatively low programming costs as it is a giant pay-TV distributor; the programming cost savings would largely come for the much smaller base of AT&T U-Verse customers. Could the NFL allow DirecTV to sell Sunday Ticket on U-Verse as well as DBS, but not provide it to other distributors? That could be interesting, but it would have to be negotiated. It is very unlikely that DirecTV would have the right to extend Sunday Ticket to additional platforms under its current (and expiring) deal. Would give U-Verse a leg up that it has never had before, but only a limited footprint in which it could take advantage of it. It would be an odd decision for the NFL: Sunday Ticket would be available from two providers in a minority of the country and one provider in the vast majority of the country. That's not an obvious thing to explain to consumers. NFL Sunday Ticket is clearly on AT&T's mind. From its 8K filing about the deal: "The parties also have agreed that in the event that DIRECTV’s agreement for the 'NFL Sunday Ticket' service is not renewed substantially on the terms discussed between the parties, the Company may elect not to consummate the Merger, but the Company will not have a damages claim arising out of such failure so long as DIRECTV used its reasonable best efforts to obtain such renewal." Packaging differences: Would DirecTV try to make the DBS and U-Verse packages of services more similar. Or would the combined company enjoy the dealmaking flexibility of having good-better-best on 2 different platforms and now have more ways to split the baby. In any event, the companies say they don't plan any large packaging changes. VideoNuze's Will Richmond is not a fan of the backward-looking deal. Howard Homonoff sees more work for the federal communications bar. Multichannel News's Mike Farrell sees 5 reasons the merger might not fly. The Diffusion Group's Joel Espelien thinks that AT&T needs DirecTV to have TV Everywhere video content for its wireless and broadband customers. I think he's totally off-base. TVE is a small portion of video content online and not even used by most pay-TV customers. Deadline's David Lieberman thinks Peter Chernin and over-the-top video is the key to the deal. I would tend to doubt that. According to a report by Alex Sherman and Edmund Lee for Bloomberg, Dish is planning to launch the first mainstream* Internet-delivered "cable TV" service sometime late this summer. The long-rumored over-the-top cable service may finally emerge after lots (Intel) and lots (Sony) and lots (Microsoft) and lots (Apple) and lots (Google) of rumors. The report states that Comcast's NBCUniversal (USA, Syfy, CNBC, MSNBC, Bravo, E!, among others), A&E Networks (A&E, History, Lifetime, among others), Turner Broadcasting (TNT, TBS, CNN, Cartoon, TCM among others) and CBS (the CBS broadcast network, Showtime and the relatively small CBS Sports Network) have been approached about providing content for the service. As followers of the industry know, Dish and Disney/ESPN entered into a ground-breaking deal a few months ago that would permit the distribution of several of the Mouse's marquee service on an OTT service. I posted about it here. While the deal was conceptually ground-breaking, however, no ground has been broken to date. NBCU represents a particularly interesting potential content provider for the Dish OTT. 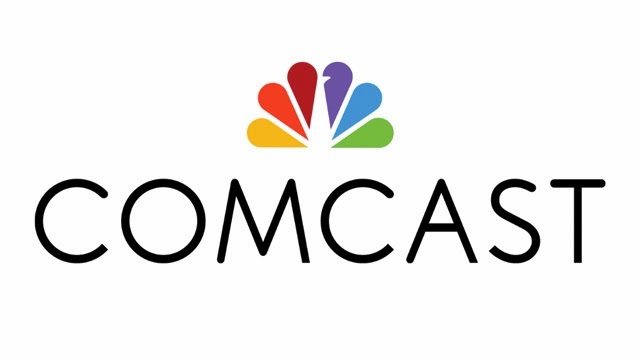 As part of the Comcast acquisition of NBCU, the company is subject to a consent decree that, among other things, requires NBCU to sell similar programming to an online video provider that some of its competitors are selling and do so under comparable terms to which the competitor got. The recourse for the potential licensee (Dish, in this case) is that if it doesn't think it is getting a fair shake from NBCU, it can submit the dispute to the Department of Justice for arbitration. What that means in this context is anyone's guess. If I were advocating for NBCU, I would hold that the restrictions on the Hopper than Dish agreed to with ABC would have to apply to NBC as well. My guess is that Dish is willing to go there. The agreement that Dish made to launch Disney Junior, Fusion (the English-language news service targeting Latinos), Longhorn Network (University of Texas sports service run by ESPN) and the upcoming ESPN Southeast Conference network appear to this observer as a substantial portion of the overall package that Disney received in conjunction with its grant of the OTT rights. I think it is less likely that Dish would be willing to launch and/or favorably retier virtually everything in the NBCU stable of networks to get the OTT rights; certainly Dish won't start the negotiation there. For those unaware, Dish is a company known for using the legal process aggressively to try to gain an advantage at the bargaining table. If I were advocating for Dish, I might take the position that NBCU has to give up OTT rights to Dish only for the consideration that is explicitly tied to such rights (e.g., fees and packaging provisions for OTT customers) not consideration that Dish provided to Disney for its DBS customers. ** The required inclusion of broadcast channels in the package could complicate things considerably -- the broadcast networks do not control all of their affiliates, they can only grant retransmission consent for their owned & operated stations (NY, LA, Chicago and a handful or two of other large markets) which would make the OTT service something only available in certain markets. Including some broadcast channels but not others (e.g., not the weaker stations which have "must carry" rights on DBS and cable) might lead to complaints to the FCC from them. Again, complications. Englewood, Colo. and Burbank, Calif., March 03, 2014 — The Walt Disney Company (NYSE:DIS) and DISH Network Corporation (NASDAQ:DISH) today announced a groundbreaking, long-term, wide-ranging distribution agreement that will provide DISH customers with access to Disney’s robust lineup of top quality sports, news and entertainment content across televisions, computers, smartphones, tablets, gaming consoles and connected devices. The renewal agreement supports the companies’ mutual goal to deliver the best video content to customers across multiple platforms by strengthening the value of the multichannel video subscription today and by creating the opportunity for DISH to deliver new services in the future. A KEY PART OF DISNEY'S LEVERAGE IS THE RENEWAL OF ESPN, THE MOST VALUABLE CHANNEL IN MULTICHANNEL TELEVISION. The extensive and expanded distribution agreement grants DISH rights to stream cleared linear and video-on-demand content from the ABC-owned broadcast stations, ABC Family, Disney Channel, ESPN and ESPN2, as part of an Internet delivered, IP-based multichannel offering. THIS APPEARS TO BE THE REALLY NEW STUFF. FROM THE SOUND OF THIS SENTENCE, DISH COULD OFFER THESE CHANNELS AS PART OF AN OVER-THE-TOP OFFERING. DISH MAY NOT BE OFFERING THESE CHANNELS ON SUCH A BASIS FOR A WHILE; DISNEY MAY HAVE INSISTED ON SOME "CRITICAL MASS" OF OTHER TOP SERVICES BE INCLUDED IN ANY PACKAGE WHICH INCLUDES THE DISNEY SERVICES. STILL, HAVING ESPN IN THE FOLD MAKES GETTING DEALS DONE FOR OTHER SERVICES MUCH EASIER FOR DISH. THIS IS A MAJOR GET FOR DISH. MORE ON THIS FROM PETER KAFKA AT RE/CODE. Additionally, for the first time, DISH customers will be able to access Disney’s authenticated live and video-on-demand products, including WatchESPN, WATCH Disney, WATCH ABC Family and WATCH ABC using Internet devices in the home and on the go. THIS IS STANDARD STUFF -- "TV EVERYWHERE" TO SUBSCRIBERS WHO HAVE AN EXISTING DISH SUBSCRIPTION OF VALUE TO BOTH PARTIES, BUT PROBABLY SLIGHTLY MORE VALUABLE TO DISH. The agreement will result in dismissal of all pending litigation between the two companies, including disputes over PrimeTime Anytime and AutoHop. As part of the accord, DISH will disable AutoHop functionality for ABC content within the C3 ratings window. The deal also provides a structure for other advertising models as the market evolves, including dynamic ad insertion, advertising on mobile devices and extended advertising measurement periods. THIS IS A BIG DEAL. THE COURTS WERE UNLIKELY TO HELP DISNEY GET RID OF THE AUTOHOP AD-SKIPPING FEATURE, BUT DISNEY WAS ABLE TO NEGOTIATE AWAY AT LEAST A SIGNIFICANT CHUNK OF ITS FUNCTIONALITY. THIS IS A BIG GET FOR DISNEY. LOOKING AT IT MORE BROADLY, DISH CHAIRMAN CHARLIE ERGEN LAUNCHED A FEATURE THAT HE KNEW WOULD UPSET PROGRAMMERS, THEN HE TRADED AWAY PART OF IT TO GET A DEAL DONE. SAVVY GUY. MORE ON THIS FROM JANKO ROETTGERS AT GIGAOM. DISH will make available Disney Junior, Fusion, ESPN Goal Line, ESPN Buzzer Beater, as well as Longhorn Network and the upcoming SEC ESPN Network upon its launch. In addition, DISH, ESPN and ESPN Deportes customers will have access to the live and video-on-demand channel ESPN3. THESE ARE ALL BENEFITS FOR DISNEY AND THINGS IT IS FAIR TO SAY THAT DISH CONCEDED, PARTICULARLY EXPANDED CARRIAGE OF THE CHANNELS DISH WASN'T ALREADY CARRYING OR CARRYING IN HIGHLY PENETRATED PACKAGES: FUSION, SEC ESPN, LONGHORN NETWORK AND DISNEY JUNIOR LAUNCHES ARE ALL SIGNIFICANT GETS FOR DISNEY. IF THE SERVICES ARE LAUNCHED IN DISH'S MORE HIGHLY PENETRATED PACKAGES (E.G., AMERICA'S TOP 120 AND AMERICA'S TOP 200), THESE LAUNCHES ARE VERY VALUABLE FOR DISNEY AND PROBABLY REPRESENT DISH'S MOST VALUABLE ECONOMIC CONCESSION. As part of the agreement, DISH will launch ESPNEWS, ESPNU, Disney Channel and ABC Family in high definition. ESPN Classic will be reintroduced as a video-on-demand channel. IN OTHER WORDS, ESPN CLASSIC HAS BEEN TAKEN OFF THE LINEAR LINEUP. ESPN HAS "DEALT OFF" CLASSIC TO GET MORE DISTRIBUTION FOR ESPNU AND OTHER SERVICE FOR NEARLY A DECADE NOW. THE LACK OF CARRIAGE OF THE HD FEEDS OF DISNEY CHANNEL, ABC FAMILY, ESPNU AND ESPNEWS WAS PROBABLY HURTING DISH MORE THAN THEY WERE HURTING DISNEY. THIS IS ALSO STANDARD STUFF THAT DISNEY HAS DONE WITH OTHER DISTRIBUTORS. IT IS OF VALUE TO DISH, BUT NOT OF EXTRAORDINARY VALUE. The companies also renewed carriage agreement for ABC’s eight owned local stations, including WABC-TV in New York City, KABC-TV in Los Angeles, WLS-TV in Chicago, WPVI-TV in Philadelphia, KGO-TV in San Francisco, WTVD-TV in Raleigh-Durham, KTRK-TV in Houston, and KFSN in Fresno. THIS WAS A BIG SOURCE OF DISNEY'S LEVERAGE. RETRANSMISSION OF ITS STATION GROUP IS THE ONLY WAY TO GET ABC FOR DISH CUSTOMERS IN APPROXIMATELY 20% OF THE US. THIS WAS A LARGE SOURCE OF DISNEY'S LEVERAGE. DISH Network Corporation (NASDAQ: DISH), through its subsidiary DISH Network L.L.C., provides approximately 14.057 million satellite TV customers, as of Dec. 31, 2013, with the highest quality programming and technology with the most choices at the best value. Subscribers enjoy a high definition line-up with more than 200 national HD channels, the most international channels, and award-winning HD and DVR technology. DISH Network Corporation is a Fortune 200 company.Visit www.dish.com. Would a cable operator deploy its own Aereo-style service with an antenna for each customer delivering individual streams for each from its own antenna? Once (and if) the Aereo service is found to be legal by the Supreme Court, it would represent an attractive alternative to the operators' current options for carrying broadcast channels, which are: (1) pay higher retransmission consent fees, (2) do without popular broadcast channels, and (3) hand out antennas to customers. 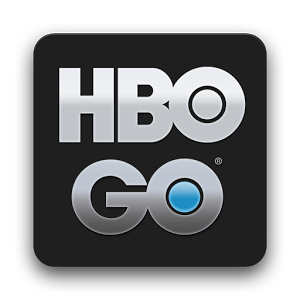 It may not be the case that cable operators create their own Aereo-style service. At a recent meeting, an investor interested in retransmission consent told me something that surprised me: cable operators can't deploy an Aereo-style service without negotiating retransmission consent agreements with the broadcasters. Cable operators are considered Multichannel Video Program Distributors (MVPDs) according to the law, however, I assumed that classification applied only to their cable television services, not necessarily to other services that they might offer (e.g., online streaming video services). Researching the topic further, I learned that cable operators are named specifically as MVPDs in the 1996 Telecommunications Act. As an MVPD, the operator gets certain benefits and takes on certain obligations, one of those obligations is that it is subject to the must carry/retransmission consent structure when dealing with local broadcast stations. So, by a strict reading of the law, operators may not be able to offer their own Aereo-style service. So Aereo is of no consequence and an Aereo victory at the Supreme Court would not change anything for cable operators? I would not move so quickly to that assumption. An MVPD could enter into an affiliation agreement with Aereo (or an Aereo-style provider operated by a third party) to provide access to its customers via its set-top boxes and apps. Since all modern cable boxes are capable of decoding IP video streams and their software is updated regularly, it appears that an Aereo solution could be rolled out relatively easily. Aereo becomes another app on the box, much like Pandora. If you think this work-around is "too cute" to be viable, I suggest you read about Dish Network and its relationship with NPS. Certainly Aereo and likely Aereo-style competitors will exist if the service is found to be legal. Cable operators already affiliate with third-party services for several online streaming video services. ESPN3 is probably the best known example with unique content. If Aereo is another app on the box is that really better than giving customers an antenna and telling them to switch inputs to watch the station that isn't being carried? The customer does not have to pick up an antenna (at the operator's office or a store). The customer does not have to switch inputs. The quality of the signal received by the customer should not vary with the customer's location, the way over-the-air reception from an antenna at his or her premises would. Furthermore, the Aereo app could be integrated into the cable video service in a much more complete way than as a wholly separate app. The cable operator could affiliate with more than one Aereo-style provider to offer additional choices to consumers, for example, perhaps one offers no cloud DVR storage, but a lower cost. What might be a wise plan for a cable operator? A cable operator should launch/affiliate with an Aereo-style service well before the expiration of their current retransmission consent agreements. This service is an upsell opportunity for the operator's broadband-only customers. The process of integrating the Aereo-style app in the set-top box will take some time, better to start the process well before it is "mission critical". The downside to doing things early, of course, is that it will give the broadcasters more time to plan their response, whatever that may be. Could an Aereo-style solution replace the carriage of broadcast stations by cable systems? The short answer is no. The cable operator is still an MVPD and still has to offer the Basic Service Tier (BST). It is a legal requirement that cable operators must sell the broadcast tier to all customers who receive video service. For example, a customer who calls up the operator and just wants HBO or the expanded basic package (i.e., the package with ESPN, CNN, Lifetime, USA) must buy the BST as well. However, the NCTA is lobbying to change this mandatory buy-through and their argument on this is a strong one. There is no mandatory buy-through for customers of DirecTV or Dish Network. Furthermore, PEG (public, educational and government) channels are required to be carried in the BST by law. Additionally, broadcast stations which elect "must carry" (typically the less-viewed stations in a market) are guaranteed carriage on the cable system. To address the concerns of local franchise authorities, cable operators could still provide the PEG channels to all video customers even if they eliminated the BST. Since those channels do not carry a license fees, the cost of doing would be negligible. How would a cable operator drop a major broadcast affiliate? The mechanism of retransmission consent is independent of any of the issues raised by Aereo. At some point, the current retransmission consent agreement between a station and the operator will expire. The station will make an offer for a renewal, usually with an escalating per-subscriber retransmission consent license fee. The two parties negotiate. If they can't reach agreement on terms, the operator cannot carry the station. All the Aereo-style-option does is create an alternative for the cable operator that's better than its current alternatives (BATNA in the parlance of Fisher and Ury). It would likely still be more attractive for the operator to negotiate a retransmission consent agreement than not. Sometimes there is more in the negotiation than just the retransmission consent. For example, some broadcast stations provide the right to carry their local news programs on VOD as part of a retransmission consent agreement. Without such an agreement, the cable operator would not enjoy those rights. 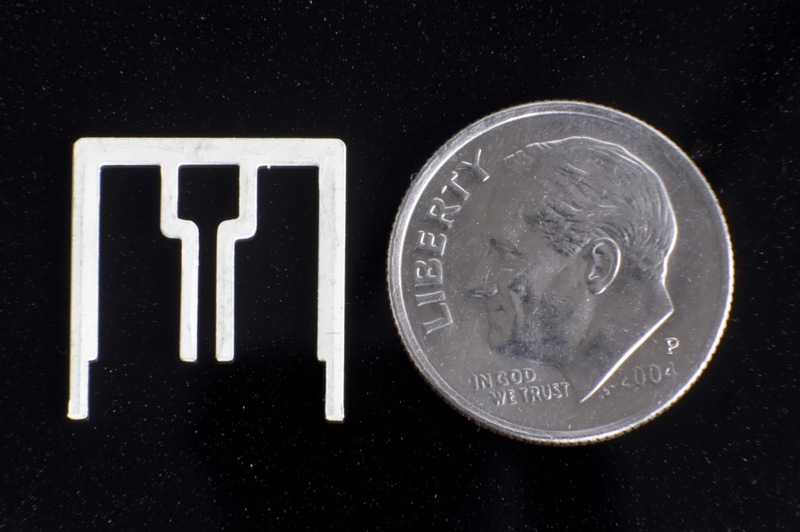 Could the impact of Aereo go further? Taking the broadcast service out of the cable TV ecosystem, in addition to sidestepping retransmission consent fees, would also appear to sidestep copyright fees payable for the distribution of such signals. Copyright fees are calculated as a percentage of revenue from the tier in which the signals are carried. If we assume that the current BST costs $20, then the copyright fee an operator would pay is a percentage of that amount times 100% of subscribers. 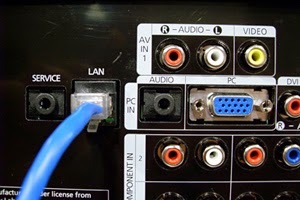 In the event that an Aereo-style service is available on the cable system and we assume the system is currently paying about $2 in retransmission consent fees, the system could reduce its BST retail price to $18 without harming its gross margin and then would also reduce its copyright fees for the broadcast stations by 10% as well. Furthermore, if customers do not have to buy through the BST -- which presumably at this point only has the weaker TV stations the $18 tier may not offer a good programming value -- then the number of subscribers on whom copyright fees are payable also goes down. A win all around for the cable operator on the cost side. Alternately, the cable operator could drop the retail price of the BST, now that it is missing its strongest programming. Since the copyright fees are based on a percentage of revenue, that cost would go down even if the number of subscribers did not. Furthermore, cable customers would have the option of affiliating directly with Aereo (or an Aereo-style service) for their broadcast stations and use the cable operator only for cable programming services. At a certain price the benefit of doing so would outweigh the hassle to the customer of having to switch inputs. So Aereo is a big deal for broadcasters? As one lawyer very familiar with the retransmission consent scheme and its impact on broadcasters told me: Aereo is an existential threat. I'm not sure that I would go that far, local broadcasters were still profitable before they started generating large retransmission consent fees. What happens on the broadcast side if Aereo wins? If that doesn't work, the broadcasters will threaten to move the broadcast network channels to cable. 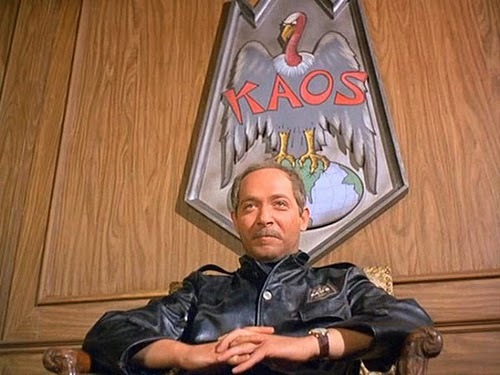 Actually, Fox's Chase Carey has done this already. There are political issues associated with that -- broadcast licenses were granted for free, political figures would not look kindly on such a move. If the whole channels are not moved off free-to-air television, the big programming companies will do what they always do, look at where their programming investment will get the best return. If the returns in the broadcast business go down (because there is less retransmission consent money there), more programming will appear on cable channels -- continuing the trend we've seen over the last 30 years anyway (e.g., ABC's Monday Night Football is on ESPN). In Australia, there is a law requiring some sports events to be on free-to-air television. 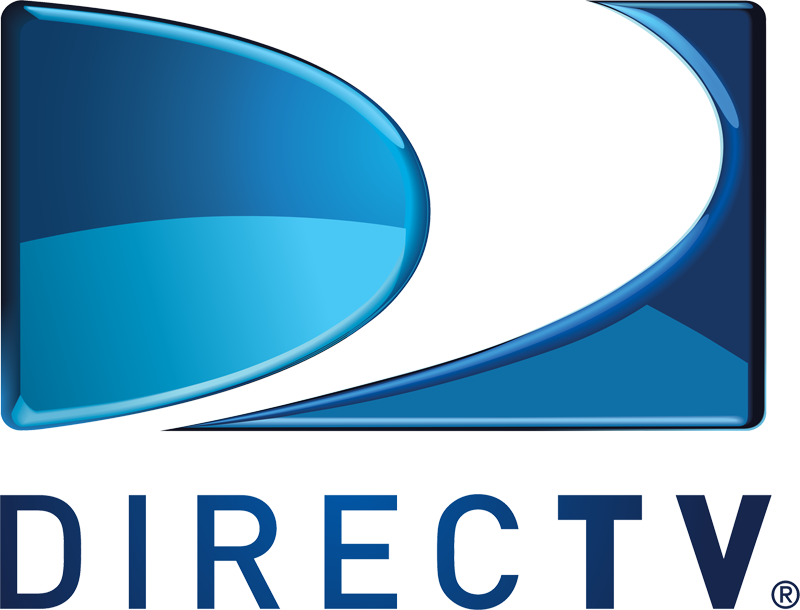 Update (22 November 2014): DirecTV had considered setting up its own Aereo-style service. 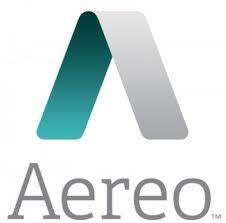 If word of this has not found you already, the United States Supreme Court has agreed to hear the major broadcasters' case versus Aereo, the streaming video provider. 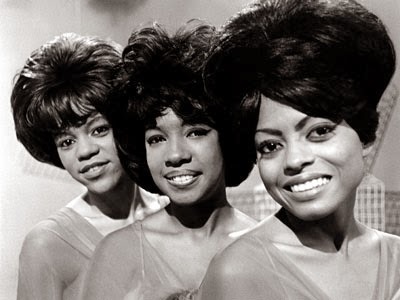 Perhaps the most surprising thing about the Aereo case is how quickly it has made it to the Supremes. Less than two months ago, at a dinner filled with media folk, I had shared that I thought Aereo was the most interesting media business development to expect in the next 12 months. Later that evening, an experienced FCC lawyer told me that the Aereo case would never be resolved in the next year. I figured he knew better than I and filed the thought away. I wish that I could claim that I had great insight into Aereo's legal battles, but it appears that the reason my lucky pronouncement proved accurate was an unusual decision made by Aereo. Since Aereo is launching in many new markets, it would certainly have more customers a year or two from now. However, the wild card in the Aereo case is that there is another company offering what appears to be a similar service, FilmOnX, which has faced similar legal actions by the major broadcasters. FilmOnX has been much less successful making its cases than Aereo has. FilmOnX has lost in court in California (when it operated under the name "Aereokiller" - clever) and lost in court in Washington, DC. It is not clear to me if FilmOnX uses the same technology as Aereo. Film On X is run by erratic billionaire Alki David. The background of the Aereo CEO, Chet Kanojia, is straight up tech startup guy (link is to a .pdf). The idea that an erratic billionaire built an equivalent system seems dubious to me, but maybe it is less complicated than I imagine (although that would be consistent with Aereo's claim that it can breakeven in a market with only about 6,000 subscribers). Allow time to pass. Sign up more subscribers. Possibly win at lower courts. Certainly take the risk that Film On X will be involved in other cases that may hurt Aereo's ultimate position, an argument well articulated by my former colleague Howard Homonoff. Save the time and legal fees and try the case now. One business factor that may have led Aereo to make the choice to get to the Supreme Court as soon as possible is the fact that it very well may not have that many customers. Whether Aereo has 1,000 or 10,000 or 100,000 customers may not matter in terms of the political dimension of a court decision. It seems pretty clear that whatever the size of Aereo's customer base, it isn't in the millions. Meanwhile, as a cash-burning tech startup -- it has spent at least $65 million -- the shorter the cash-burning portion, the better for the investors. If Aereo loses its case, the investors have found out a few years and many millions of dollars sooner -- perhaps the company can employ its technology in some other, legal way to find a business with returns to its investors. 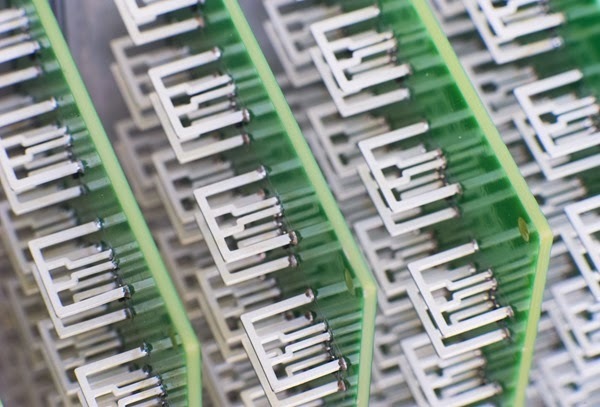 If Aereo wins its case, one risk in the business would be eliminated and it would likely be able to raise its additional funds on much more favorable terms than it has achieved to date.